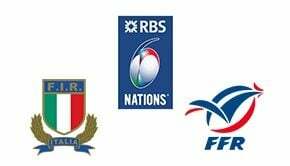 France, at home in Paris, are looking to kick-off their 6 Nations campaign against the World’s Number 3 ranked team, Wales, and build confidence ahead of Rugby World Cup 2019. Wales’ New Zealand-born coach, Warren Gatland, won his first 6 Nations in charge of Wales in 2008. This year, he believes his team will have a great chance of repeating the feat in his final year with the Welsh outfit if they can win in Paris on the opening night. Gatland predicts France will provide Wales’s toughest match of the 6 Nations tournament. In 2018, 6 Nations champs, Ireland, came very close to defeat at the Stade de France when Irishman Jonathan Sexton’s drop goal with the countdown clock at zero stole victory from the plucky French. Consequently, bookmakers have France chosen as the favourites, nominally ahead of Wales. 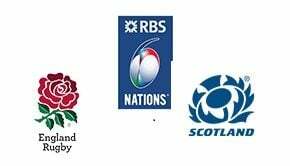 “I think we’ve got a great chance of winning the Six Nations if we win that opening game, which is going to be our toughest. We feel in as good a position as anybody to do well.” said Gatland. France’s form is patchy. Last second losses to Ireland and South Africa in 2018 was compounded by a defeat to Fiji. As always with the French, it depends how they feel on-the-day. Gatland is on a quest to finish in style as Welsh coach, and his team will ooze confidence. Wales should be good enough to win a tough first game away from home against dogged French resistance. Wales should be good enough to win a tough first game away from home against dogged French resistance. Played 96. Wales Won 49. France Won 44. 3 draws. 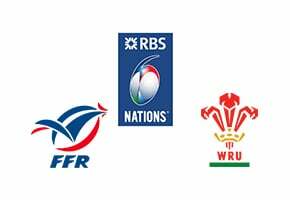 Wales narrowly defeated France 14-13 in the 2018 6 Nations Championship in Cardiff. Wales have won the 6 Nations title 26 times, to France’s 17. 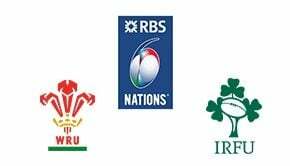 Wales last won the 6 Nations in 2013, whilst the last French title was in 2010. Maxime Machenaud was the top scorer in the 2018 6 Nations with 50 points, just one point ahead of Wales’ Leigh Halfpenny. France have won 404 from 752 test matches, a win record of 54.00%.